Josh Smith (pictured) was the late model winner at Shady Bowl Speedway last Saturday night. DeGRAFF – This Saturday night, Shady Bowl Speedway will host the Roger Roush Classic. Roush – a long-time mechanic, driver and car owner – will be on hand to be honored for his years of hard work and dedication to the sport of auto racing. The Street Stocks will run 47 laps with $1,007 going to the winner. Also on hand will be Late Models, Modifieds, Tuners, Compacts and Pure Stocks. It will also be DARF night for all active DARF members. Members will be admitted free with a current membership card. BROOKLYN, Mich. – The August Sprint Cup race at Michigan International Speedway will have a new qualifying format. NASCAR announced this week that it will utilize single-car qualifying for the Pure Michigan 400. Each driver will take one timed lap in each of the two rounds of qualifying and the 12 fastest vehicles from the first round will have their speeds reset for the final qualifying round. The top 12 starting positions for the Pure Michigan 400 will be set by the fastest laps in the final qualifying round, while the remainder of the field will be determined by first-round qualifying speeds. NASCAR typically utilizes a three-session qualifying format that gives drivers 20 minutes to complete as many laps as possible, and the starting field is determined in an elimination-style format based on fast laps. Qualifying for the Pure Michigan 400 is Aug 14, and the Sprint Cup race is scheduled for Aug. 16. Single-car qualifying will also be used for the Jeff Kyle 400 on July 26 at Indianapolis Motor Speedway. NASCAR has implemented new aerodynamic packages for the Sprint Cup races at IMS and at MIS. 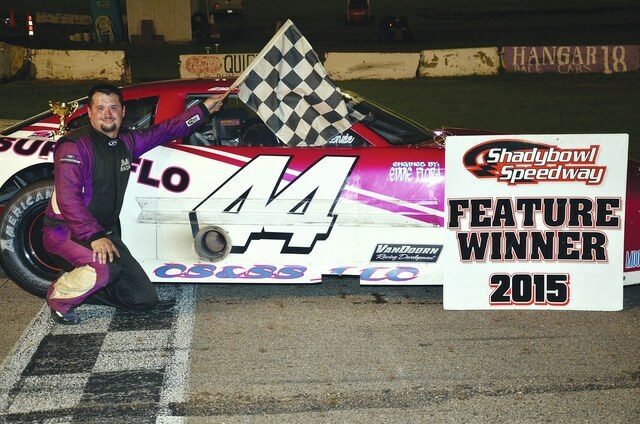 https://www.urbanacitizen.com/wp-content/uploads/sites/36/2015/07/web1_shadybowl.jpgJosh Smith (pictured) was the late model winner at Shady Bowl Speedway last Saturday night.